Candles are a great way to create a warm and inviting atmosphere. Candle holders are great for creating some holiday inspired centerpiece. This Moroccan Candle Holder is very beautiful. It can be used for small votive candles or pour your wax directly into the painted globe. I particularly love the glow of the rich jewel tones and the intricate gold designs. This candle holder is also very easy to make. 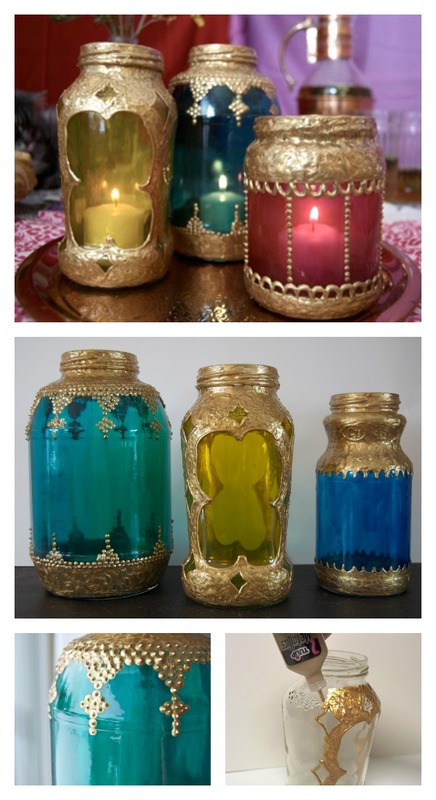 All you need are some old glass jars, throw in some glass paint along with gold dimensional paint. 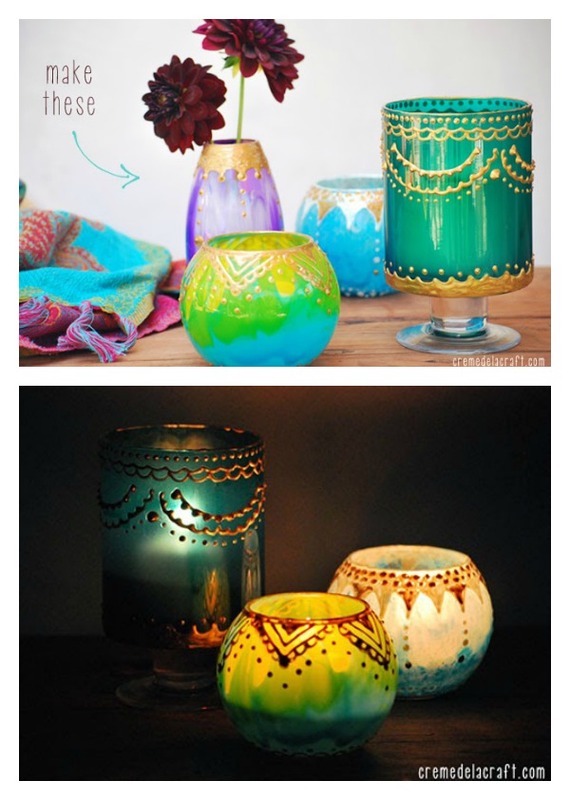 Then you are on your way to up-cycling heaven as you transform those throw away jars into gorgeous to-die-for moroccan candle lanterns. Enjoy.